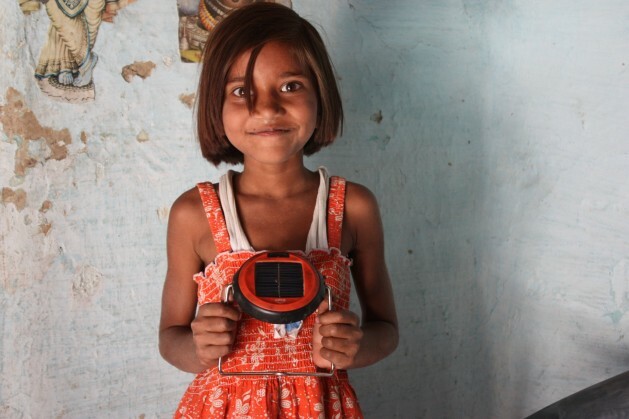 A student in India is holding a solar lamp by d.light design, one of the winners of the 2013 Zayed Future Energy Prize. Photo: Courtesy of d.light design. ABU DHABI, Jan 16 2013 (IPS), Jan 16 2013 (IPS) - Innovative high schools in Mexico, Britain, Tanzania and Abu Dhabi that aim to power classrooms with solar, biogas, wind and other sustainable energy sources were among the winners of the 2013 Zayed Future Energy Prize, held at the Emirates Palace in Abu Dhabi. “We believe that investing in people is the future of our collective prosperity,” said His Highness General Sheikh Mohammad bin Zayed Al Nahyan, Crown Prince of Abu Dhabi. “Through the Prize, we are not only recognising tremendous achievement, but also providing support to help accelerate promising technologies and fund organisations, schools and individuals committed to impacting communities around the world. Now in its fifth year, the Prize’s other winners included Siemens, d.light design, Ceres, and Dr. Jose Goldemberg, former Brazilian minister of environment, who was given the Lifetime Achievement Award.“When I started working with renewables, they were not much more than a scientific and technological curiosity. Today, they represent approximately 10 percent, and in all likelihood, will represent 30-50 percent of all energy consumption by 2050,” said Dr. Goldemberg. The Tanzanian Green School Network was among the winners of the 2013 Zayed Future Energy Prize. 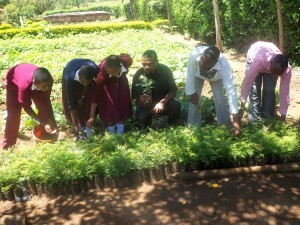 Photo: Courtesy of Tanzanian Green School Network. The Zayed Future Energy Prize hands out a total of 4 million dollars. It is awarded annually to companies, schools and individuals that have made significant contributions to the future of energy, sustainability and climate change. “It is our conviction that school communities are well-placed to stimulate change,” said Manuel Salgado Cuevas, director general at Secundaria Tecnica 120 in Cuernavaca, Mexico, whose school will receive 100,000 dollars for its proposed project to upgrade the water, power and heating supply to use renewable sources.